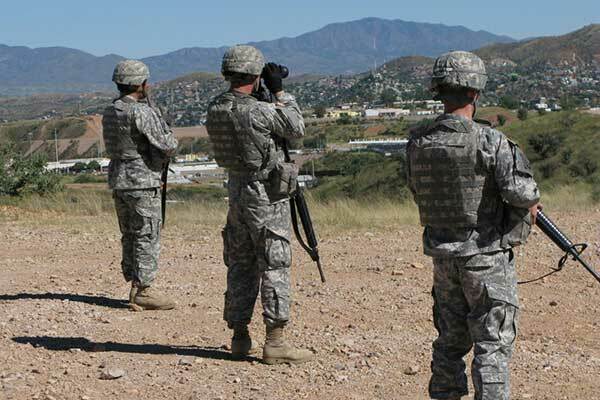 Phoenix – Arizona Governor, Doug Ducey announced that 225 members of the Arizona National Guard were heading the the Mexican border in support of President Trumps call for troops to fight drug trafficking and illegal immigration. More troops are expected to be deployed throughout the week. Texas and New Mexico have also responded to Trumps request for National Guard troops. No word, however, from California Governor, Jerry Brown. Defense Secretary James Mattis has approved paying for up to 4,000 National Guard personnel from the the Pentagon budget through September.